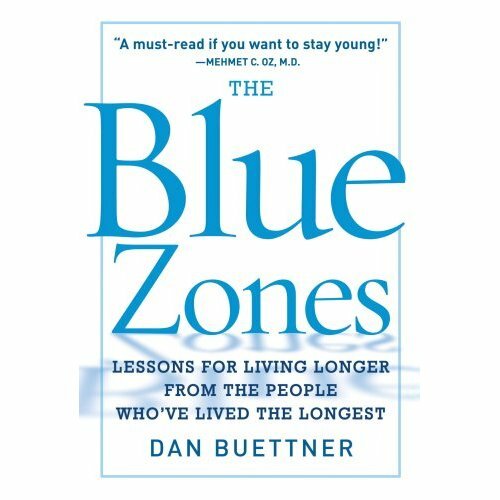 The Blue Zones are five pockets around the world where people live the longest, healthiest lives. There is a website and a book extolling the virtues of seeking to match the lifestyles of those who live in the Blue Zones. In the book, it takes 38 pages to explain the nine common denominators of the world’s longest-lived people (the Power 9). An average reader could read the whole book in two hours. Most people just want the 10 things they could do to live longer and stay younger. 4. Play with your children – this is excellent low intensity exercise and will strengthen a family. Both associated with longer life expectancy. 5. Grow a Garden – This proven stress reducer will put your body through the range of motion and yield fresh vegetables. 9. Donate your large dinner plates – eat off 9 inch plates as the Okinawans do and reduce calorie consumption at dinner by 20-30%. This entry was posted in blue zones, children, de-convenience, garden, high-alt wines, mission statement, nuts, power of 9, prayer, resveratrol, sardinian wine, tan, tofu by Gregg Caruso. Bookmark the permalink.